During late 1956, the United States Department of the Army announced its intention to replace the Sikorsky CH-37 Mojave, which was powered by piston engines, with a new, gas turbine-powered helicopter. Turbine engines were also a key design feature of the smaller UH-1 "Huey" utility helicopter. Following a design competition, in September 1958, a joint Army–Air Force source selection board recommended that the Army procure the Vertol-built medium transport helicopter. However, funding for full-scale development was not then available, and the Army vacillated on its design requirements. 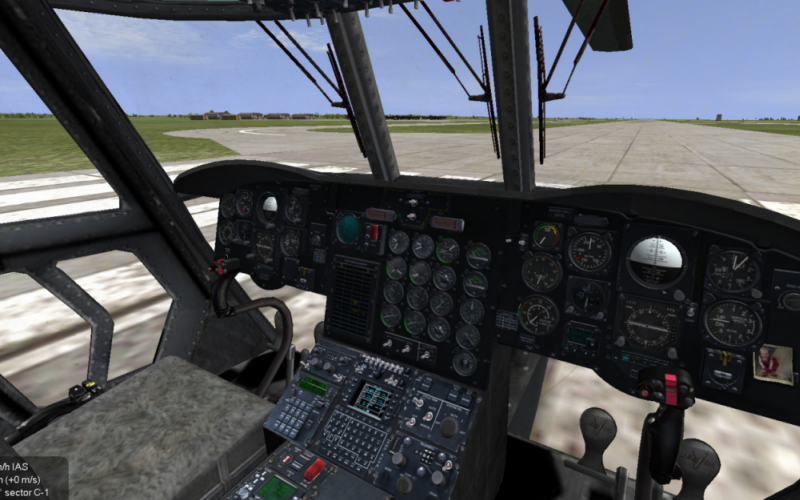 Some officials in Army Aviation thought that the new helicopter should be operated as a light tactical transport aimed at taking over the missions of the old piston-engined Piasecki H-21 and Sikorsky H-34 helicopters, and be consequently capable of carrying about 15 troops (one squad). Another faction in Army Aviation thought that the new helicopter should be much larger, enabling it to be able to airlift large artillery pieces and possess enough internal space to carry the new MGM-31 "Pershing" missile system. During 1957, Vertol commenced work upon a new tandem-rotor helicopter, designated as the Vertol Model 107 or V-107. During June 1958, the U.S. Army awarded a contract to Vertol for the acquisition of a small number of the rotorcraft, giving it the YHC-1A designation. As ordered, the YHC-1A possessed the capacity to carry a maximum of 20 troops. Three underwent testing by the Army for deriving engineering and operational data. However, the YHC-1A was considered by many figures within the Army users to be too heavy for the assault role, while too light for the more general transport role. Accordingly, a decision was made to procure a heavier transport helicopter, and at the same time, upgrade the UH-1 "Huey" to serve as the needed tactical troop transport. The YHC-1A would be improved and adopted by the Marines as the CH-46 Sea Knight in 1962. As a result, the Army issued a new order to Vertol for an enlarged derivative of the V-107, known by internal company designation as the Model 114, which it gave the designation of HC-1B. On 21 September 1961, the preproduction Boeing Vertol YCH-1B made its initial hovering flight. During 1962, the HC-1B was redesignated the CH-47A under the 1962 United States Tri-Service aircraft designation system; it was also named "Chinook" after the Chinook people of the Pacific Northwest. The CH-47 is powered by two Lycoming T55 turboshaft engines, mounted on each side of the helicopter's rear pylon and connected to the rotors by drive shafts. Initial models were fitted with engines rated at 2,200 horsepower each. The counter-rotating rotors eliminate the need for an antitorque vertical rotor, allowing all power to be used for lift and thrust. The ability to adjust lift in either rotor makes it less sensitive to changes in the center of gravity, important for the cargo lifting and dropping. While hovering over a specific location, a twin-rotor helicopter has increased stability over a single rotor when weight is added or removed, for example, when troops drop from or begin climbing up ropes to the aircraft, or when other cargo is dropped. If one engine fails, the other can drive both rotors. The "sizing" of the Chinook was directly related to the growth of the Huey and the Army's tacticians' insistence that initial air assaults be built around the squad. The Army pushed for both the Huey and the Chinook, and this focus was responsible for the acceleration of its air mobility effort. Improved and more powerful versions of the CH-47 have been developed since the helicopter entered service. The U.S. Army's first major design leap was the now-common CH-47D, which entered service in 1982. Improvements from the CH-47C included upgraded engines, composite rotor blades, a redesigned cockpit to reduce pilot workload, improved and redundant electrical systems, an advanced flight control system, and improved avionics. The latest mainstream generation is the CH-47F, which features several major upgrades to reduce maintenance, digitized flight controls, and is powered by two 4,733-horsepower Honeywell engines. 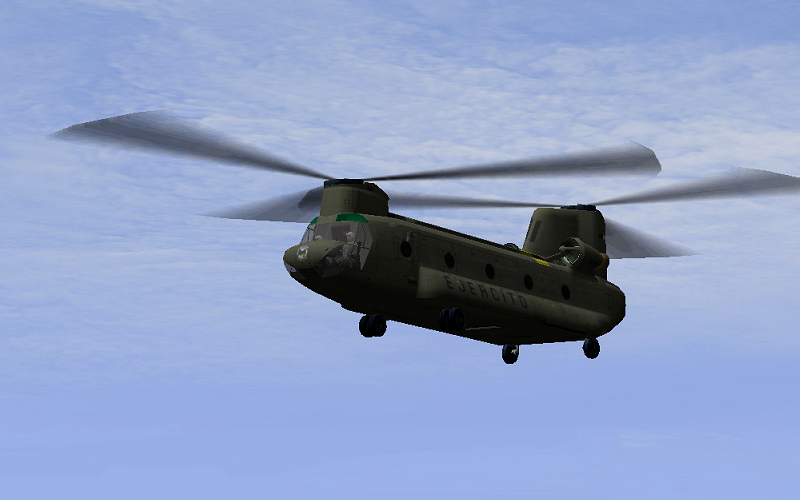 A commercial model of the Chinook, the Boeing-Vertol Model 234, is used worldwide for logging, construction, fighting forest fires, and supporting petroleum extraction operations. In December 2006, Columbia Helicopters Inc purchased the type certificate of the Model 234 from Boeing. The Chinook has also been licensed to be built by companies outside the United States, such as Elicotteri Meridionali (now AgustaWestland) in Italy and Kawasaki in Japan. The Army finally settled on the larger Chinook as its standard medium-transport helicopter, and as of February 1966, 161 aircraft had been delivered to the Army. The 1st Cavalry Division had brought its organic Chinook battalion when it arrived in 1965 and a separate aviation medium helicopter company, the 147th, had arrived in Vietnam on 29 November 1965. This latter company was initially placed in direct support of the 1st Infantry Division. The most spectacular mission in Vietnam for the Chinook was the placing of artillery batteries in perilous mountain positions inaccessible by any other means, and then keeping them resupplied with large quantities of ammunition. The 1st Cavalry Division found that its CH-47s were limited to a 7,000-pound (3,200 kg) payload when operating in the mountains, but could carry an additional 1,000 pounds (450 kg) when operating near the coast.The early Chinook design was limited by its rotor system which did not permit full use of the installed power, and users were anxious for an improved version which would upgrade this system. As with any new piece of equipment, the Chinook presented a major problem of "customer education". Commanders and crew chiefs had to be constantly alert that eager soldiers did not overload the temptingly large cargo compartment. It would be some time before troops would be experts at using sling loads. The Chinook soon proved to be such an invaluable aircraft for artillery movement and heavy logistics that it was seldom used as an assault troop carrier. Some of the Chinook fleet was used for casualty evacuation, and due to the very heavy demand for the helicopters, they were usually overburdened with wounded. Perhaps the most cost effective use of the Chinook was the recovery of other downed aircraft. The CH-47s in Vietnam were generally armed with a single 7.62-mm M60 machine gun on a pintle mount on either side of the aircraft for self-defense, with stops fitted to keep the gunners from firing into the rotor blades. Dust filters were also added to improve engine reliability. At its peak employment in Vietnam, 22 Chinook units were in operation. Of the nearly 750 Chinook helicopters in the U.S. and South Vietnam fleets, about 200 were lost in combat or wartime operational accidents. The U.S. Army CH-47s supported the 1st Australian Task Force as required. This mod don't require different slot for AI, you can run a mission with Human and AI at the same time. WOW! The mighty Chinook has arrived in the IL2-1946 skies! HURRAY! A very cool classic helicopter! It has been flying since the Rolling Stones first began playing Rock-N-Roll ! Thank you very much to Vudu_1 and 4S_Vega ! A great machine, beautiful summer and well lands. Excellent work, thank you very much to all involved, really appreciated. Thanks VuDu !!! !, also to you Vega. Thanks Vega and team for getting the Chinook into IL2.